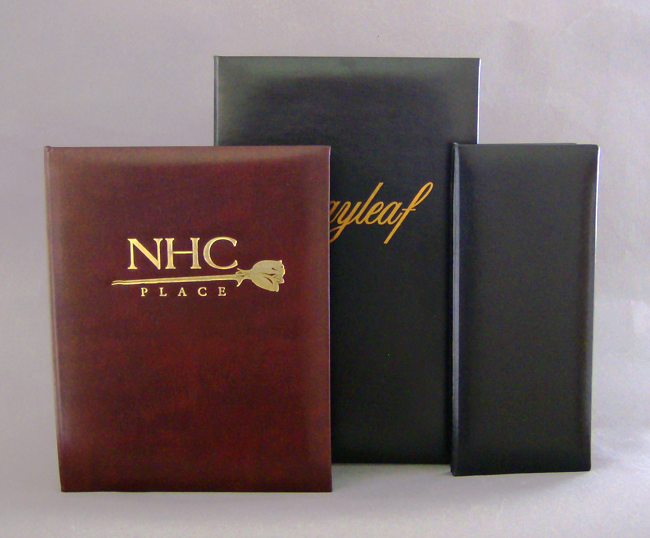 Enjoy the elegance of fine leather at a fraction of the cost with our Bonded Leather Menu Covers. Bonded Leather is man-made using 95% or more real leather fibers bound by latex to produce the look, feel and smell of genuine leather without the flaws. 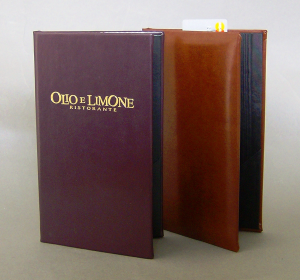 Our Bonded Leather Menu Covers are made in the USA and are just as strong as leather menu covers made from thicker animal skins, just as easy to keep clean with a damp cloth but without the maintenance of keeping the leather skin from drying out and cracking. 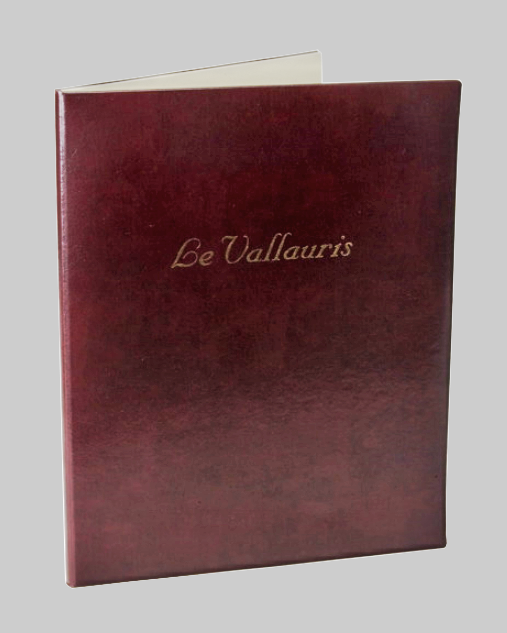 Del Mar Bonded Leather menu covers feature edges that are turned and glued over sturdy binder board and lined with your choice of leatherette, linen or elegant moiré. 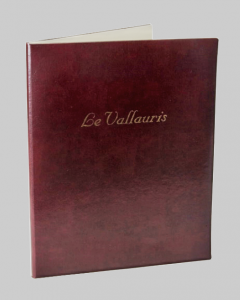 Bonded Leather Menu Covers are offered in padded and non-padded versions with picture corners or top and bottom bars and available in a variety of sizes, colors and configurations to suit your restaurant menu needs. Create custom leather menu covers with the many options available, call us and consult with customer service. Custom Sizes and Options Available: Consult customer service. Matching check presenters in the same material as the Bonded Leather Menu Covers. Decoration: “Thank You” in choice of gold or silver foil stamped in the lower RH corner with the No Deco price. Die Charge: $49.00 (Required for custom decoration only). Our products are constructed using quality materials, tested and designed for durability. Coloring and activity menu placemats in black and white with pictures, puzzles and games. Activity placemat kid's menus with pictures, games and puzzles are full color on front and black and white on the back.